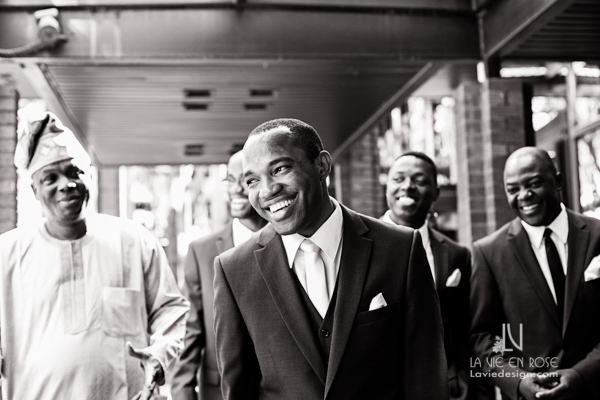 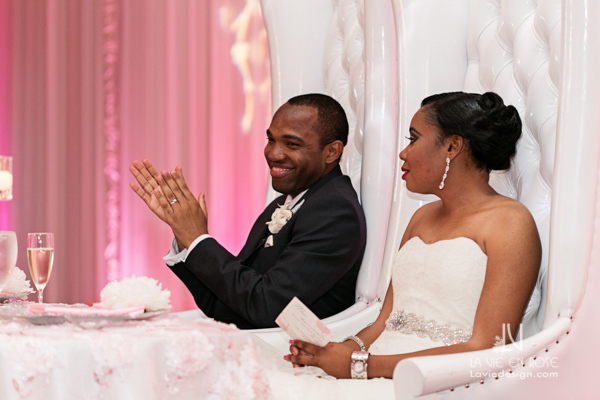 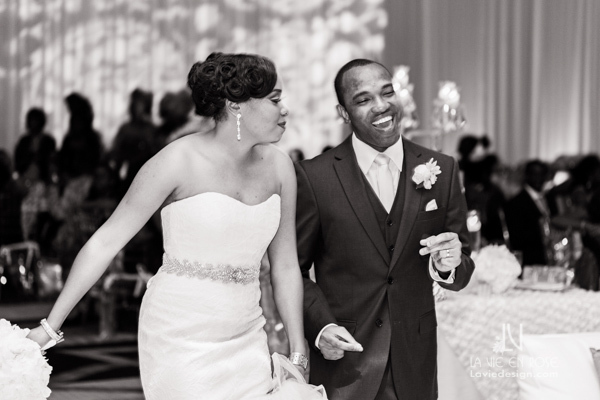 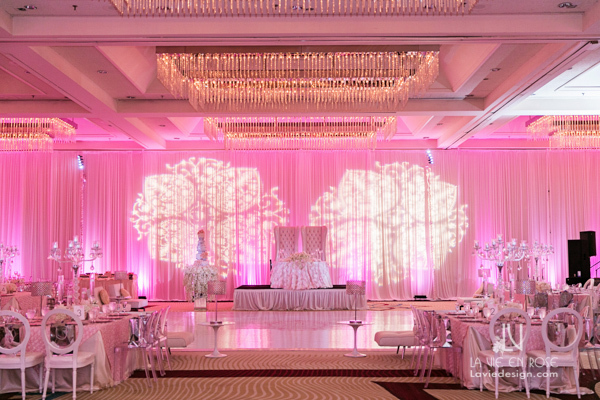 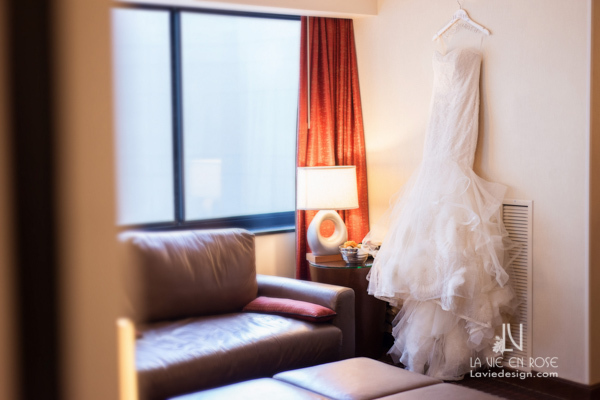 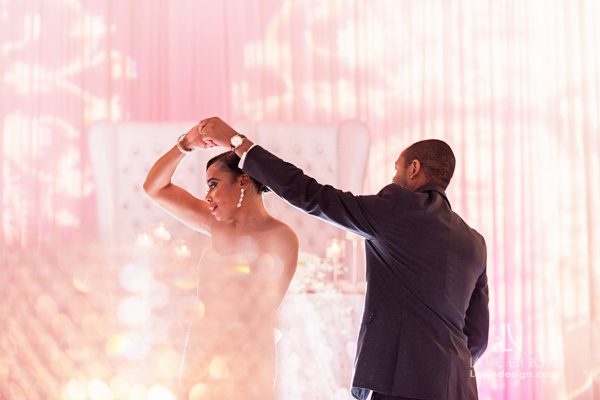 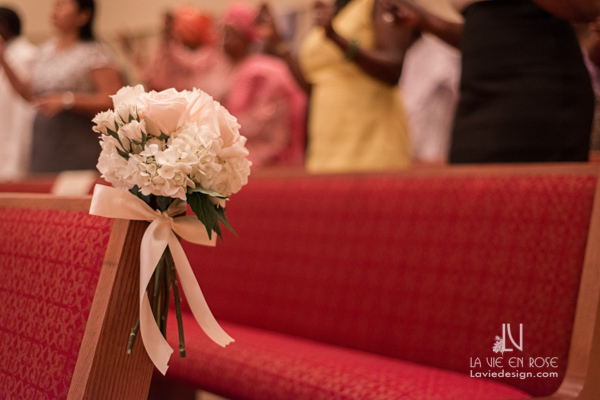 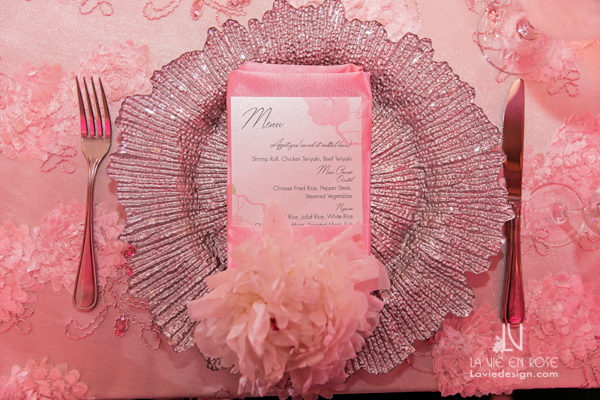 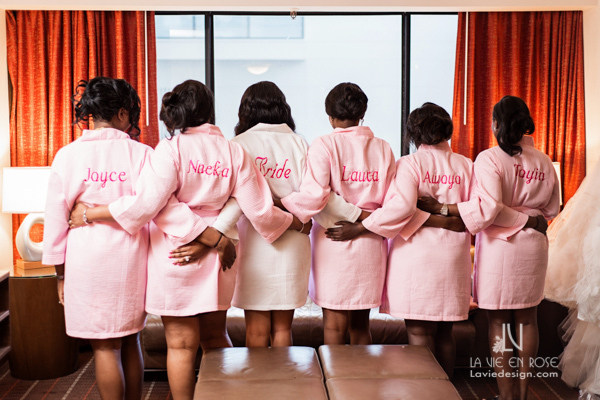 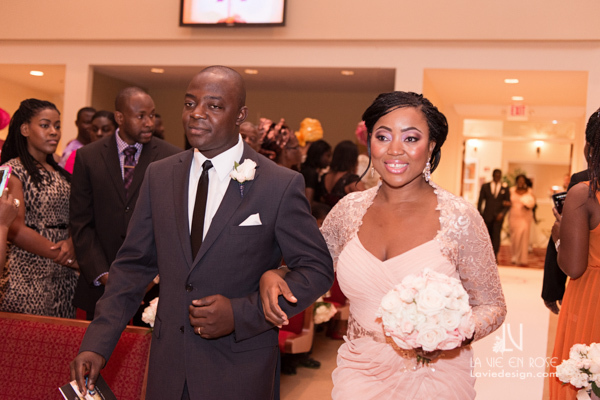 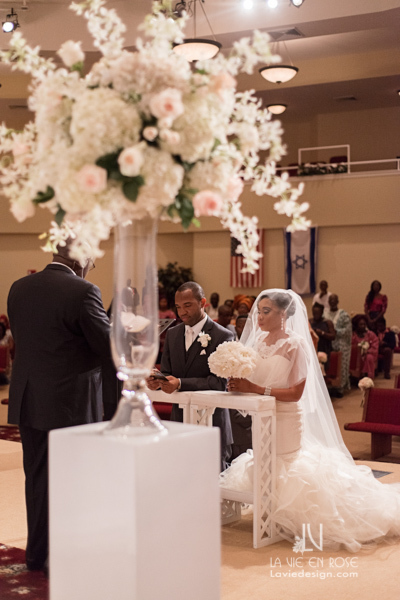 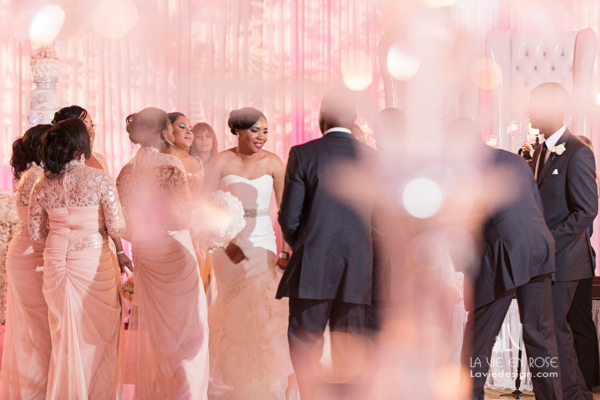 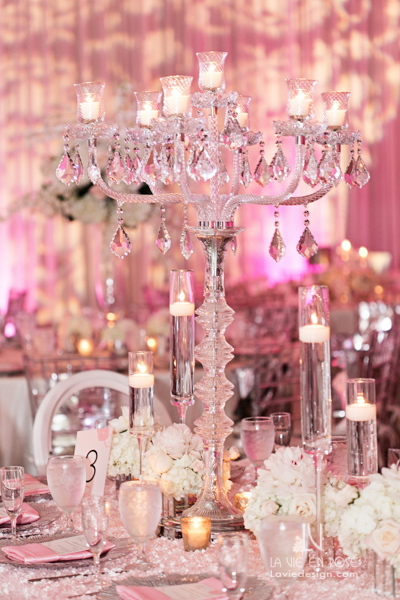 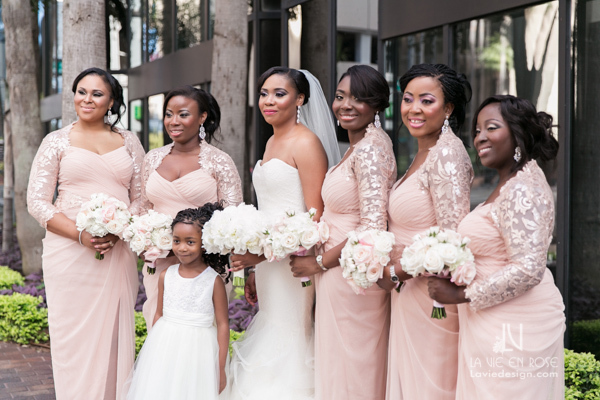 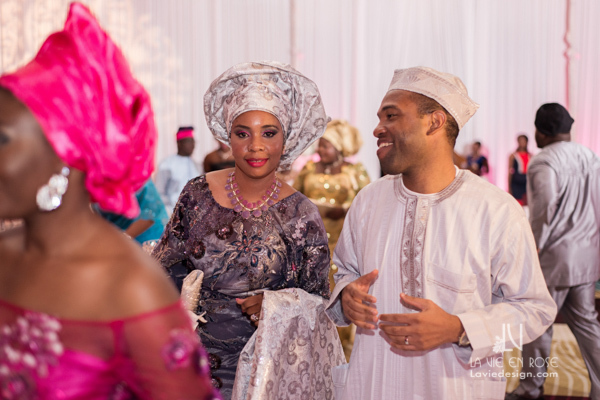 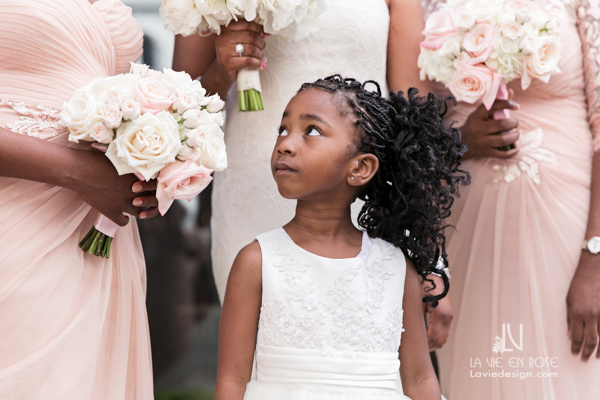 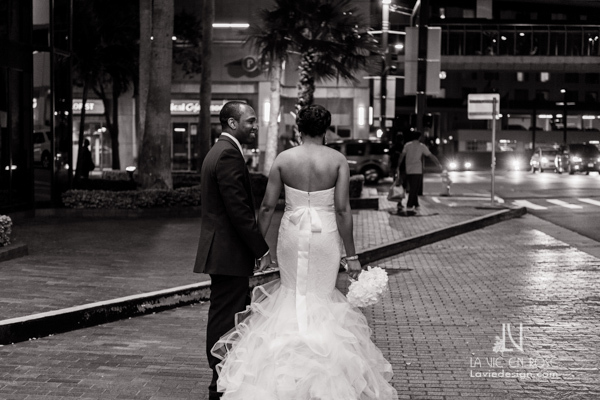 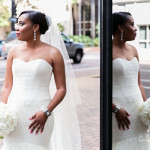 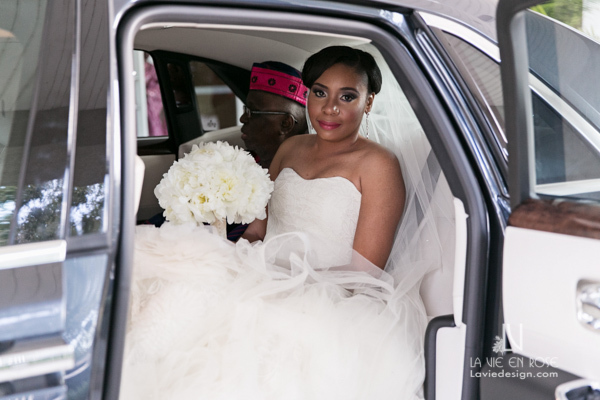 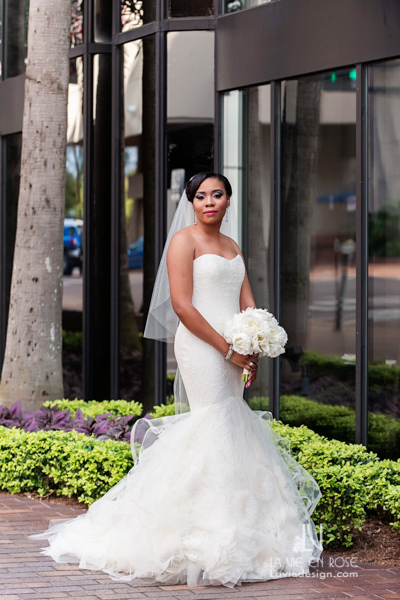 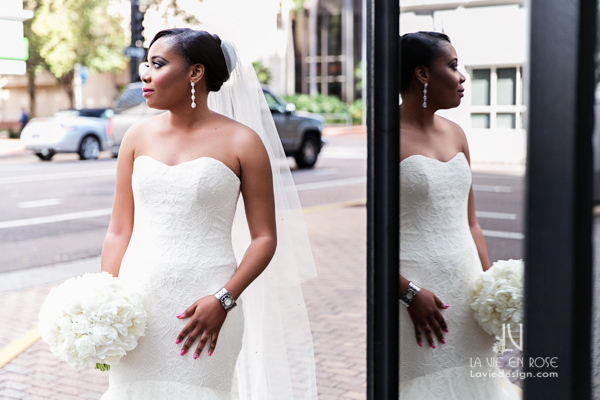 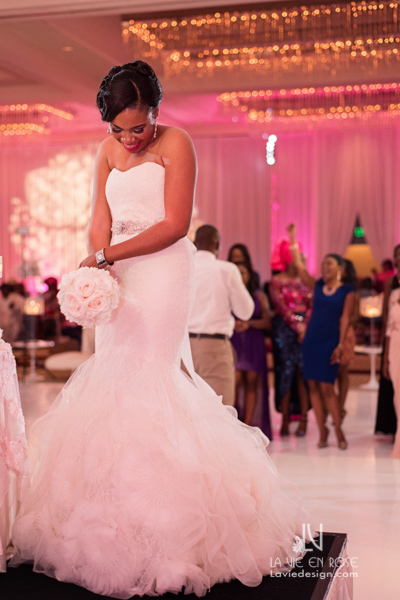 Ade and Ayo’s Wedding at The Hilton Downtown Tampa was a luxurious and stylish wedding that showcased their Nigerian culture. 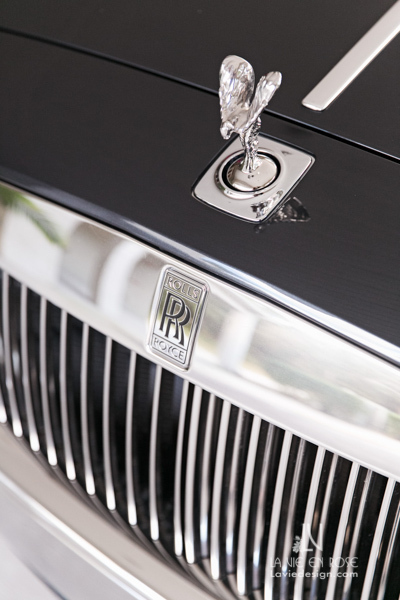 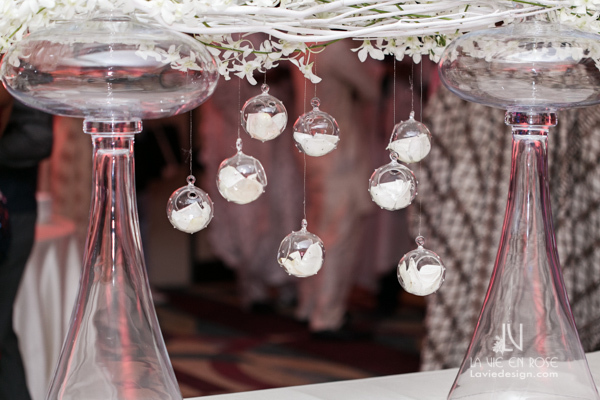 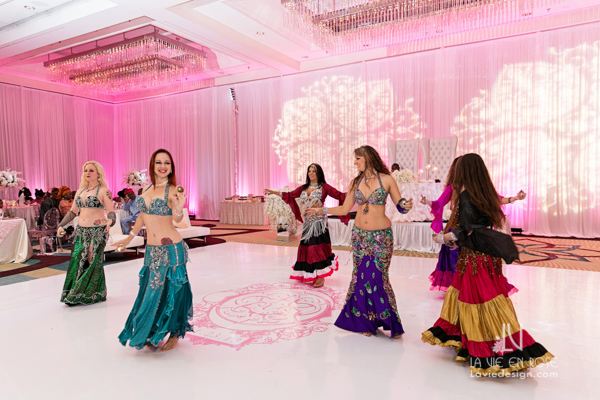 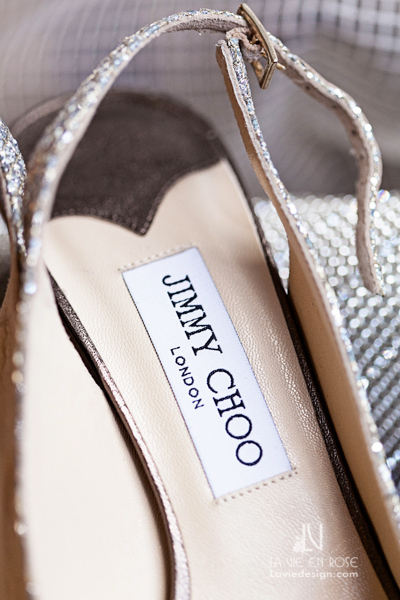 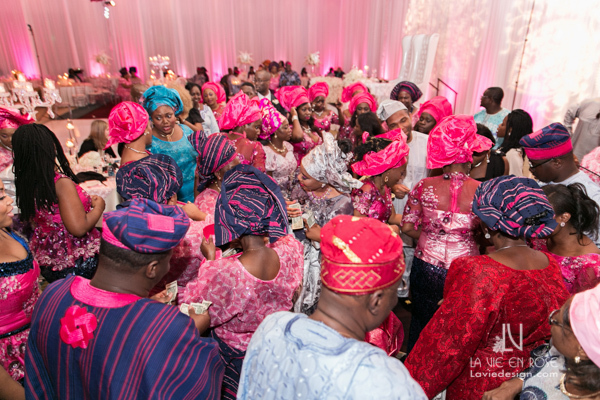 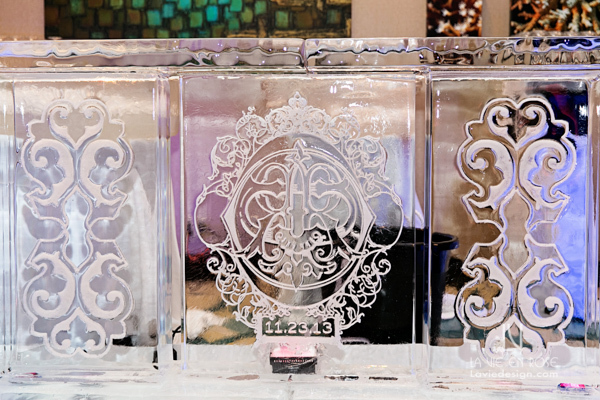 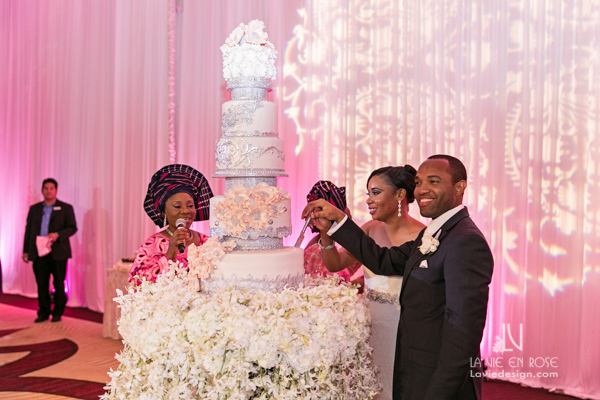 The bride and groom wore traditional Nigerian clothing, a monogrammed ice bar, a five tiered cake on our custom stand with floral skirt, and belly dancers all helped to make this a show-stopping wedding. 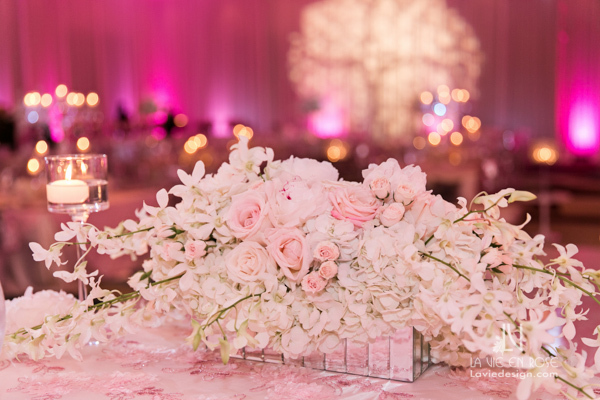 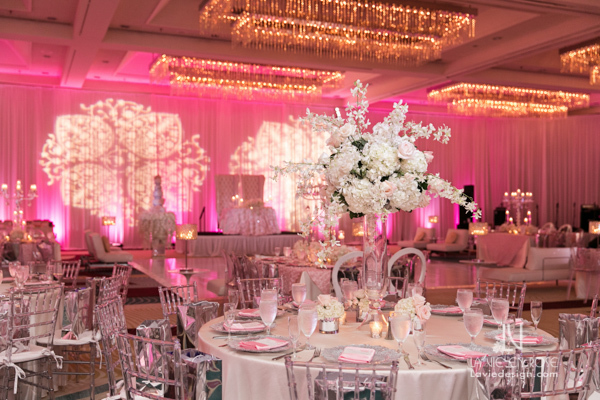 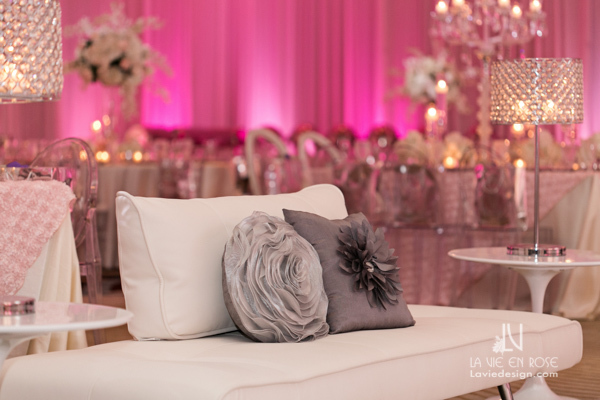 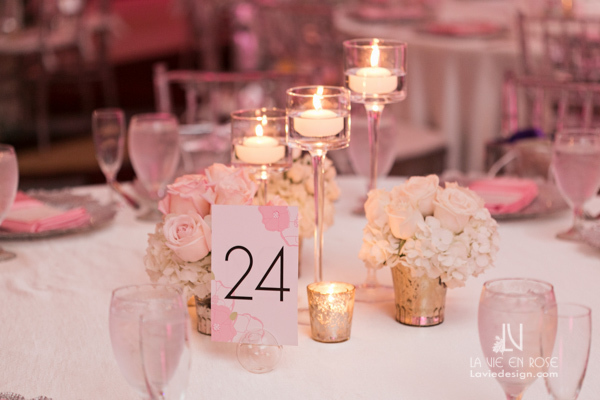 We provided florals, custom made linens, printed monogram on our high gloss white dance floor, lounge furniture, and glass chargers. 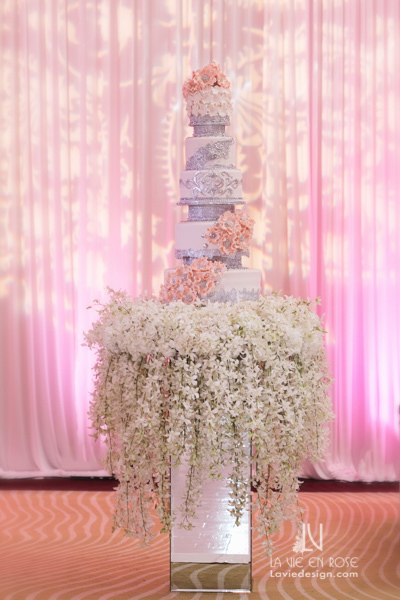 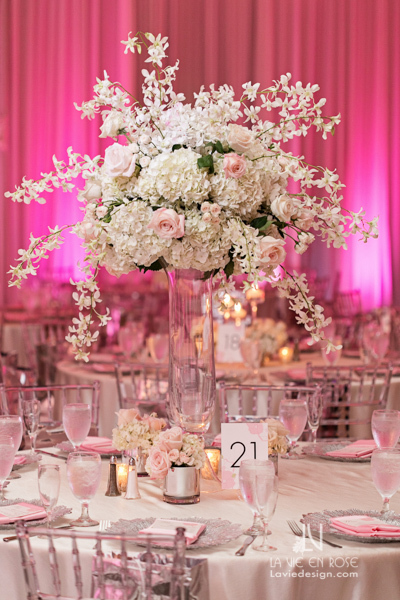 Our custom mirrored cake table had an extra surprise of hundreds of Dendrobium Orchids forming a floral skirt. 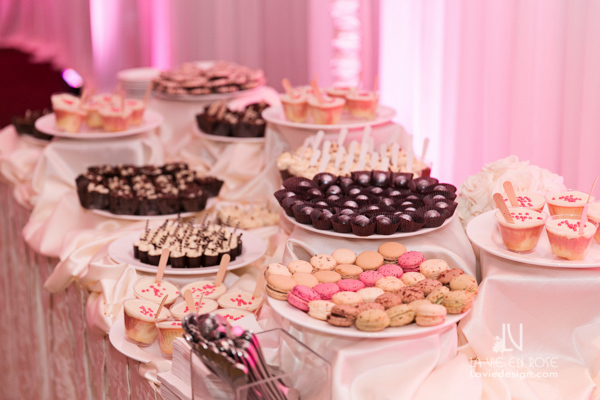 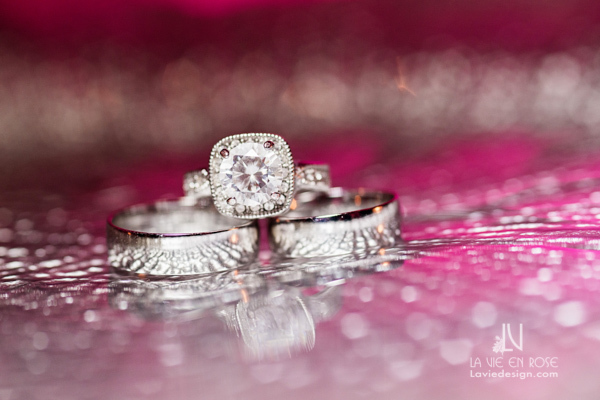 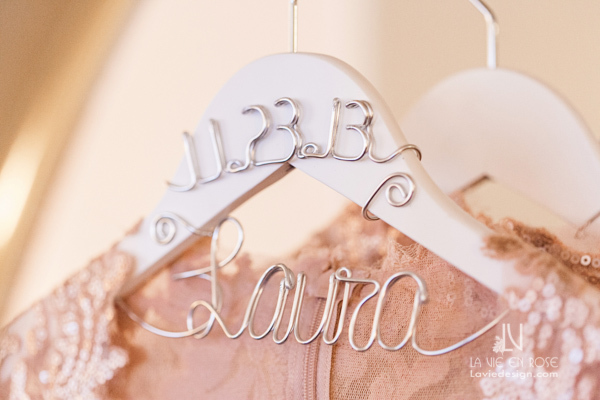 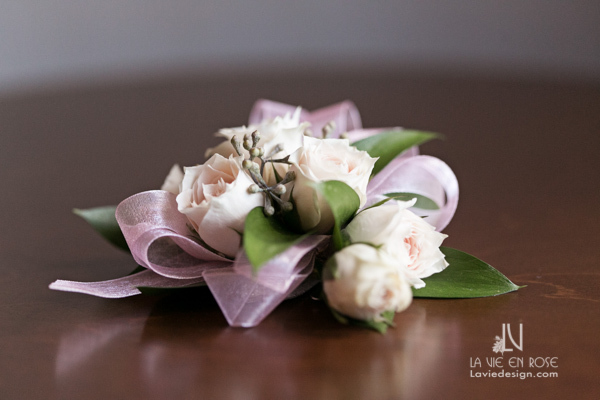 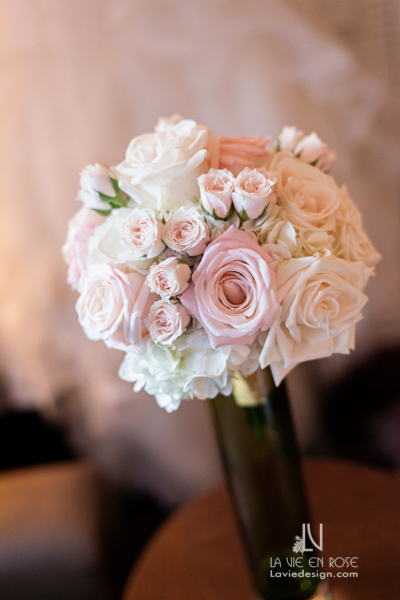 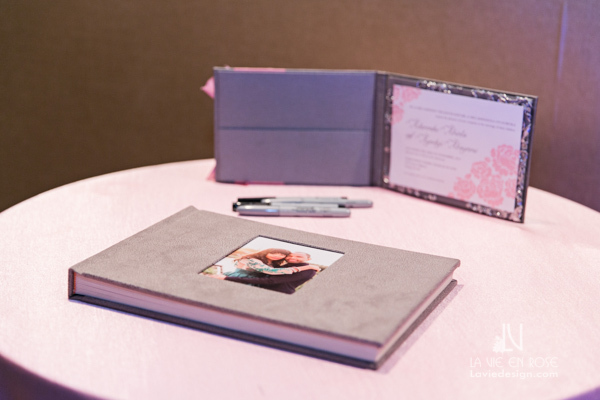 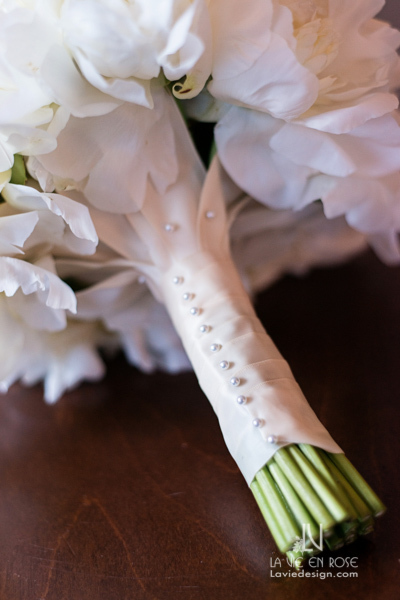 Thank you to K&K Photography for the beautiful photos!